Here at Racks we have been really busy creating a fantastic new menu, with a new addition of a selection of Gourmet Pizzas! 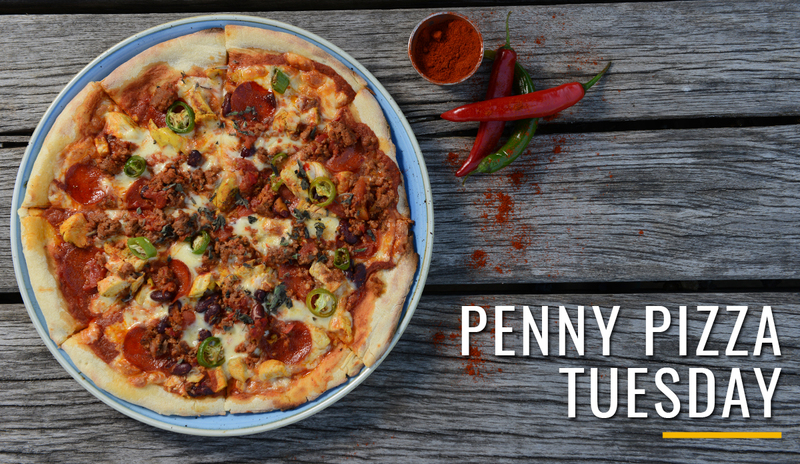 To celebrate we have launched a brand new offer, Penny Pizza Tuesday. Buy One Pizza and get a second Pizza for a Penny all day Tuesday!